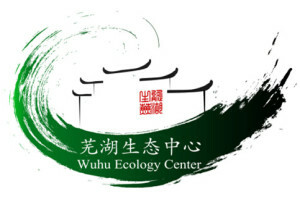 Established in 2012, Nature University Fund is an environmental protection project, organized in cooperation with the Beijing Water Source Conservation Foundation. Their goal is to increase public awareness in the fields of environmental damage, ecosystem and biodiversity conservation and environmental protection. A major part of their activities is public education, with lectures, outdoor activies, fieldwork and investigation. Nature University has also developed portable monitoring devices for water quality, air quality and acoustic environment. In addition, they maintain cooperative relationships with laboratories in colleges and monitoring companies, monitoring environmental accidents all over the country, including water pollution, forests damage, steppe destruction, waste disposal, POPs elimination, air pollution, etc. Nature University offers their investigative findings to affected victims and experts as well as to the media. Arnika was established in 2001. The main goal of their Toxics and Waste program is to protect people and the environment from toxic chemicals and promote the use of safer alternatives. In their campaigns they have successfully promoted civil right to information on dangerous substances in the environment. Together with other European NGOs, Arnika has also promoted the adoption of several conventions and regulations on the safe use of chemicals. In addition, Arnika has been coordinating international studies and monitorings on toxics in food, child care products and toys. Arnika Association & The Nature University have been cooperating on a joint project focused on strengthening the capacity of pollution victims and NGOs to increase chemical safety in China and Europe. With the exchange Arnika and Nature University aim to increase experience with practical and legal aspects of their work, such as tools for access to information on environmental pollution and their legislative consequences. Arnika, which serves as a secretariat for IPEN’s Heavy Metals Working Group, will use this opportunity to learn more on local specifics and problems of Chinese communities affected by industrial pollution. Established in 2004, the Global Environmental Institute’s mission is to design and implement market‐based models for solving environmental problems in order to achieve development that is economically, ecologically and socially sustainable. GEI’s work currently focuses on the 4 areas energy and climate change, biodiversity conservation, trade, investment and environment, and capacity building. Although most of GEI’s project work is in China, they are also implementing environmental projects overseas. Projects in Myanmar and the Lower Mekong Region focus on the environmental and social behaviors of Chinese companies investing in the region. In addition GEI has offices in Laos and Sri Lanka working on rural energy and community development. CEE Bankwatch Network (Bankwatch) was founded in May 1995 to work on the impact of international finance in the CEE region (Central and Eastern European region). Bankwatch’s mission is to prevent the environmentally and socially harmful impacts of international development finance, and to promote alternative solutions and public participation. Bankwatch addresses EU decision-makers and aims at influencing their policy for sustainable and climate-friendly development, as well as a stricter monitoring on the energy sector development. CEE Bankwatch & the Global Environmental Institute focus on monitoring the environmental and social impacts of major bank’s investment projects. During the exchange the participants wish to explore different social and environmental risk assessment methodologies that are applied by European and Chinese investment and development banks. They also hope to gain a better understanding of Chinese Investment in European countries, especially in high environmental and social impact industries. Another objective is to compare and develop working knowledge on European and Chinese regulations or policies governing energy consumption, investment, environmental measures and the participation of CSOs. Established in 2010, the Beijing Farmers’ Market runs as well a Weekend market and serves as an information hub for sustainable agriculture and food systems. The organization aims to engage consumers and producers in direct trade and and ultimately mobilize both producers and consumers to form a sustainable and fair food community. Their mission is to improve the livelihood and health of farmers, contribute to rural development, reduce agricultural pollution, but also educate consumers about sustainable and healthy food. In addition the organization is organizing seminars and community meals, trainings and farm trips to support and promote food sustainability, as well as introduce new ideas and practices to achieve that goal. IFOAM) is the worldwide umbrella organization for the organic movement, which represent close to 800 affiliates in 117 countries. IFOAM actively promotes the worldwide adoption of ecologically, socially and economically sound systems that are based on the Principles of Organic Agriculture. Their acvities include global advocacy for sustainability in agriculture, facilitation of organic value chains development projects around the world, as well as capacity building for organic leaders and extension agents. IFOAM & The Beijing Farmers’ Market aim to exchange on the so called Participatory Guarantee System (PGS), a quality assurance system for agricultural products, based on active participation of stakeholders. The participants wish to deepen their understanding of the model but also reach a broader perspective on how the PGS is implemented in different regions. IFOAM established the world wide recognition of PGS and wants to learn more on the local conditions in China. Beijing Farmer’s Market is a pioneer in experimenting with PGS ,and hopes to directly help more than 100 producers and thousands of consumers to benefit by implementing PGS. This could be a big step forward in the food movement in China and worldwide. Let’s Do It! was founded in 2008 in Estonia. It is a civic movement to create positive change, locally and globally, through engaging the society in actions that bring both, immediate and long‐term results. Their activities include large CleanUp events, anti waste campaigns and educational campaigns. By today, the movement unites teams in 111 countries. They aim to encourage the countries to engage the population to cleanup-activities in order to create a shift in society. One of their goals is to engage at least 350 million people in cleanup-activities by 2018. Let’s Do It also works for the implementation of Zero Waste principles in the participating countries. With a common mission to resolve waste pollution, the two NGOs will focus on community activities to promote Clean-Up Events, urban/countryside waste management, and activities around waste prevention, reuse and recycling. With the exchange they hope to gain insight into each other’s working environments, strategies and plans. The exchange is planned to involve skill-sharing and training on event organization and waste management best practices. Established in 2003, the Beijing Huizeren Volunteering Development Center focuses on supporting NGO’s and their work in China.Huizeren’s current programs range from delivering a comprehensive volunteer training program to managing an innovative Pro Bono program by establishing cross-sector cooperation’s between corporations and NGOs.In addition Huizeren tries to create sustainable volunteering working structures, in order to benefit local communities, disadvantage population and conducts advocacy work to promote a civil society in China. Founded in 2011, Pro Bono Lab offers small and medium sized non-profit organizations capacity building services by partnering and engaging volunteers in pro bono projects. Pro Bono Lab mobilizes employees, students and job seekers to share their professional skills for non-profits which express a need of support in professional skills that they cannot finance. They also engage companies that are willing to invest in sustainable programs of civic commitment. As core activities, Pro Bono Lab organizes work-sessions with students and professionals to develop support functions for non-profits, identifies the organization’s needs and develops adequate volunteer projects and offers consulting services for non-profits. The two organizations aim to exchange on social innovation models in the pro bono field. They would like to share both their specific regional experience with pro bono and practical knowledge such as operations and organizational management, and team development. The exchange also aims at promoting the concept of pro bono for NGO capacity building in China. Furthermore they plan to build a global pro bono network with other international NGOs and intermediaries. The Center for Legal Assistance to Pollution Victims (CLAPV) was established in 1998. CLAPV is a research institution on environmental and natural resources law as well as an environmental NGO. They organize legal-, management and technical experts to conduct research on environmental legislation and its implementation, promote international academic exchanges and launch professional training programs, and try to popularize knowledge on environmental and natural resources law and protect the environmental rights and interests of pollution victims by providing legal assistance. Sandbag is campaigning for environmentally and economically effective climate policies, with a focus on the EU Emissions Trading System (ETS). Their campaigns are supported by in‐house research that monitors the environmental robustness of the ETS, the distribution of allowances, and how key sectors, installations and companies in the scheme are affected. Sandbag and the Centre for Legal Assistance to Pollution Victims (CLAPV) will collaborate on a detailed analysis of how the trial carbon markets will work in China, looking at available trading data and bringing together media and analysis on the topic. They will then use CLAPV’s expertise on Chinese law, and Sandbag’s knowledge as a carbon market watchdog in the EU, to plan for further Non-Governmental Organisation involvement in ensuring China’s carbon markets run smoothly. As a concrete outcome they plan to plot out a structure for how NGOs across China can ensure that China’s carbon markets truly act to reduce emissions and protect the environment. The Pesticide Eco-Alternatives Center (PEAC) was established in 2002. The organization is dedicated to reduce the pollution and harm caused by chemical pesticides with the purpose of protecting human health and the environment, achieving sustainable development through pesticide risk education and through the collection, extension and advancement of eco-alternatives and recommending policies. Their core program is to conduct community based pesticide risk monitoring, pesticide risk education and policy advocacy. In order to expand their target group, PEAC also established an information website and E-learning platform offering online trainings for professionals. Save Our Seeds (SOS) was created in 2002 by the Foundation on Future Farming (Zukunftsstiftung Landwirtschaft, ZSL). Their first campaign was to ensure zero tolerance for the contamination of seeds with genetically modified organisms (GMOs) at European (EU) level, thus protecting conventional and organic seeds from GMO contamination. From then on SOS started several other projects dealing with the issues of genetic engineering, sustainable agriculture and food production. In addition, they co-initiated an alliance of 50 German NGOs called “Meine Landwirtschaft – Unsere Wahl” (My Agriculture, Our Choice) to campaign for a more ecological and fair realignment of Common European agricultural policy. Their most recent project, named “2000 m2” concentrates on food safety, sustainability, global agriculture as well as biodiversity and food quality. The principle topics of this exchange will be agriculture (especially sustainable agriculture), genetically modified organisms (GMO), food safety and agriculture policies. The participants not only wish to develop joint solutions for global issues through comparing and sharing different cases, they also aim to build a communication mechanism for European and Chinese farmers for the purpose of experience sharing.